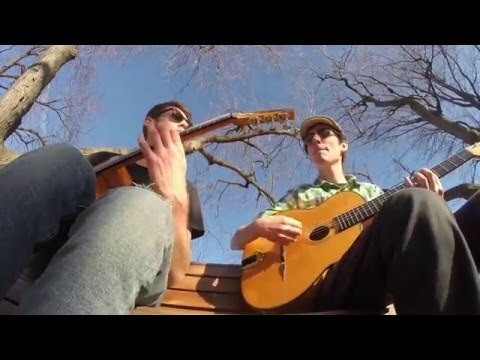 I'm looking for a vid I ran across a while back of 2 guys (maybe on the forum) playing a nice guitar duet version of Minor Blues sitting outside in a park with people walking by. If you have a link please post it. No way audio is the bench take?! That's a studio quality recording. Great ideas in there Will. Thanks for posting that vid. It's a classic duh moment isn't it? But who lipsyncs the damn solo!? Yeah I've seen a lot of vids done that way where they reproduce the studio recording... even at multiple locations. Pretty cool. Probably takes a lot of extra work/editing though rather than only presenting the recording so there is some other interesting stuff to watch.